With the help of a $120,000 MGM Resorts donation, spanning 2014 and 2015, Best Buddies Nevada will support a candidate selection process that will provide persons with intellectual and developmental disabilities (IDD) with opportunities for employment in jobs specified by MGM Resorts. For those candidates hired, Best Buddies Nevada will offer special on-the-job training and other workplace support in collaboration with the company. The mission of Best Buddies is to establish a global movement that creates opportunities for one-to-one friendships, integrated employment and leadership development for people with IDD. Through its Best Buddies Jobs program, the nonprofit matches skilled and qualified persons with IDD with businesses that are looking for enthusiastic and dedicated employees. For more information about MGM Resorts’ Diversity and Inclusion Initiative, please visit: www.mgmresorts.com/csr. 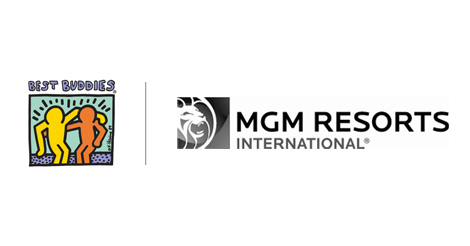 MGM Resorts International (NYSE: MGM) is one of the world’s leading global hospitality companies, operating a portfolio of destination resort brands including Bellagio, MGM Grand, Mandalay Bay and The Mirage. The Company is in the process of developing MGM National Harbor in Maryland and MGM Springfield in Massachusetts. The Company also owns 51 percent of MGM China Holdings Limited, which owns the MGM Macau resort and casino and developing a gaming resort in Cotai, and 50 percent of CityCenter in Las Vegas, which features Aria resort and casino. For more information about MGM Resorts International, visit the Company’s website at www.mgmresorts.com. Best Buddies® is a nonprofit 501(c)(3) organization dedicated to establishing a global volunteer movement that creates opportunities for one-to-one friendships, integrated employment and leadership development for people with intellectual and developmental disabilities. Founded in 1989 by Anthony K. Shriver, Best Buddies is a vibrant organization that has grown from one original chapter to more than 1,900 middle school, high school, and college chapters worldwide. 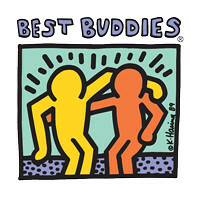 Today, Best Buddies’ eight formal programs — Middle Schools, High Schools, Colleges, Citizens, e-Buddies® , Jobs, Ambassadors, and Promoters — engage participants in each of the 50 states and in over 50 countries, positively impacting the lives of more than 900,000 people with and without disabilities around the world. In many cases, as a result of their involvement with Best Buddies, people with intellectual and developmental disabilities secure rewarding jobs, live on their own, become inspirational leaders, and make lifelong friendships. For more information, please visit www.bestbuddies.org, facebook.com/bestbuddies or twitter.com/bestbuddies.